If you’re playing Minecraft in Peaceful mode, no mobs can spawn — much less attack, and surviving the first night is not the goal. Instead, your focus should be on advancing through other challenges. You can continue navigating the other challenges of Minecraft in the following chapters. However, if you’re ready for a fight, you can switch the difficulty setting to Easy at any time by using the Pause menu. 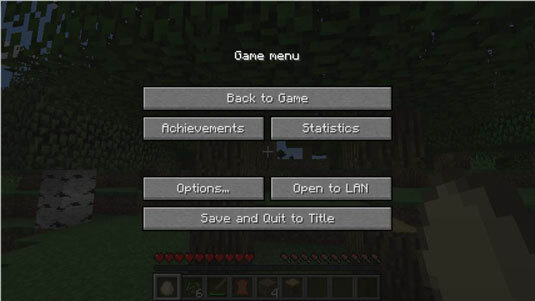 If you select the default difficulty, Normal mode, you find that the game balances the elements of Minecraft — surviving, building, crafting, gathering resources, and farming, for example. The mobs are challenging, and it can be difficult to combat hunger. However, younger players or those who don’t want the distractions of mobs and hunger as they explore Minecraft can switch from a difficult mode to an easier one. Normal mode is a good choice for players who like a significant challenge from the mobs while playing the other parts of Minecraft — such as building, farming, mining, excavating, and inventing. In Easy mode, you have to protect yourself at night from mobs and worry about hunger. Easy mode provides a bit more of a challenge with only a small risk of losing early in the game.